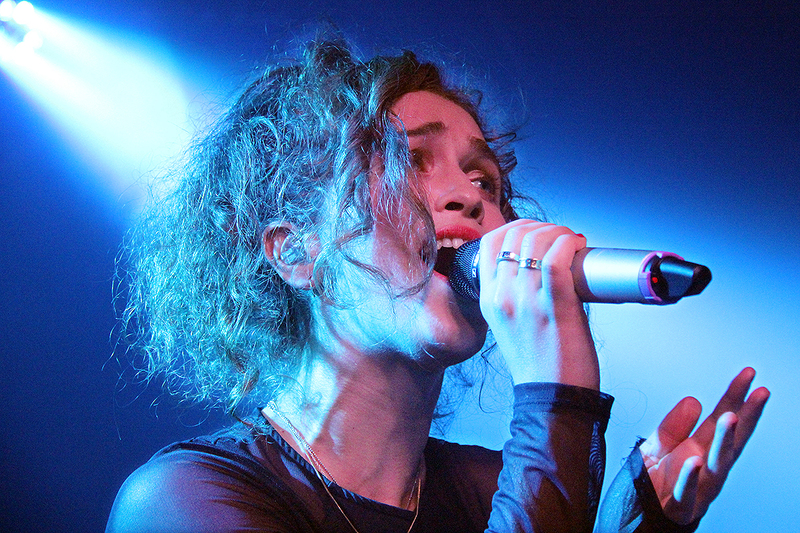 It’s been around 18 months since Blackpool singer/songwriter RAE MORRIS was in town. And a lot has changed since then. We have new musicians – two drummers and two keyboard players replace the standard band set-up of old – a clear indication of the new direction her music is heading. And we have the new tunes. Ace new tunes. Morris has spent her time away from the live circuit well, it seems, crafting a collection of confident, vibrant songs with her long-time collaborator Fryars. And we’re treated to a wealth of fresh material tonight. 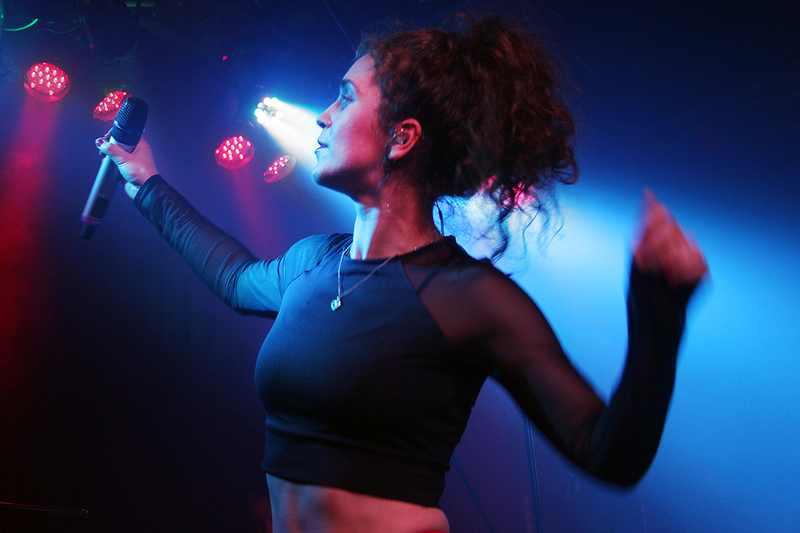 While she remained behind her keys in earlier live shows, Morris is bounding around the stage tonight, gracefully spinning in front of her band on the more laid-back tunes and excitedly jumping about as the beats grow and the vibes get more up-tempo. From her recent single Reborn, on which she declares “These are new beginnings…” to the booming set closer of commanding new single Do It, it’s clear that Rae Morris has a new sense of vitality, of conviction and freshness that’s as gleefully delivered as it is received. The title track from her forthcoming album Someone Out There and heartfelt lament Dancing With Character hold back the beats and settle down nicely with her older more delicate-piano-led balladry – stunning, poignant pin-drop breaks from the party vibe. But it’s not all about the new stuff (though the vast majority of her set is served as an introduction to these). We’re taken back to the first song Morris wrote back in her Blackpool family home, book-ending a far-from-complete collection of past, present and future material. 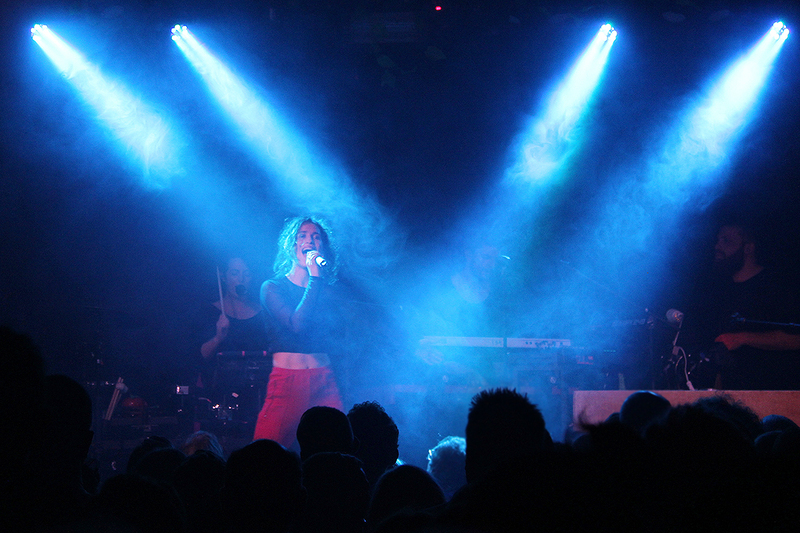 A triumphant return, for sure, to a city which very nearly painted a different picture for a young Rae, as she enlisted to – but ultimately withdrew from – Leeds College of Music when record labels showed significant interest a few years back. We’re guaranteed a much smaller gap between visits back to Leeds as her second album is due out early next year, so make sure you keep an eye on her socials for new tour dates.